De-Stash Bash :: Sewing for a Cause!! It’s time to DE-STASH! And let’s give to our community while we’re at it. Crimson Tate is partnering with our dear friend and fabric rep Laurie Voggenthaler to present DE-STASH BASH. The gang of Crimson Tate and Laurie have cut through our years of stash building and assembled kits to create pillowcases for members of our own community at the Wheeler Mission Center for Women and Children. WHO: You and all your sewy pals are encouraged to participate. WHAT: Sewing pillowcases to be donated to the Wheeler Mission Center for Women and Children. HOW: Come to Crimson Tate and make a $12 donation to Wheeler Mission CWC to receive a pillowcase kit. 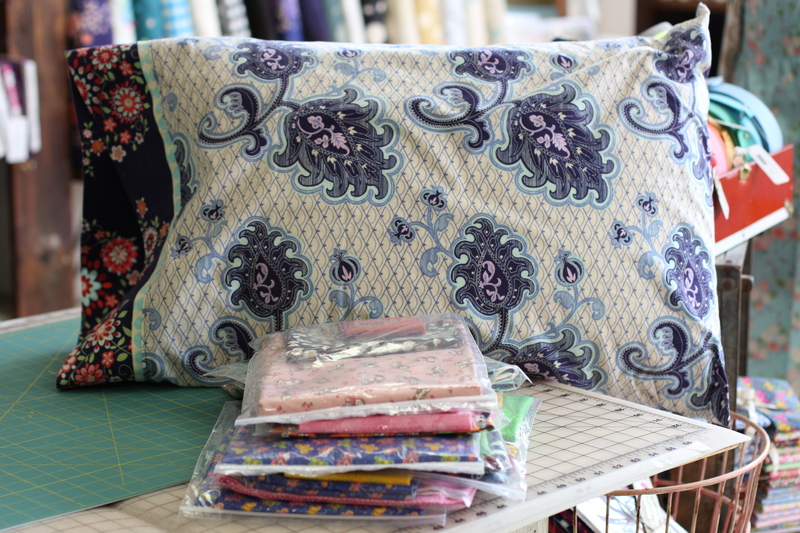 Each kit includes three coordinating fabrics and a pillowcase pattern. OR Use fabrics from your own stash and make a suggested donation of $12 when dropping off the pillowcase. WHEN: Return your completed pillowcase donation to Crimson Tate by Tuesday, October 1st. NOW WHAT: Then, join us Friday evening October 4 to celebrate your generosity. Your cutie-tootie pillowcases lining the cultural trail (weather permitting). A very VERY important chili cook-off competition between me (Heather) and my sister Tana. We need the public to decide once and for all WHO MAKES THE BETTER CHILI?! Celebrate on Mass Ave with Harvest of the Arts and other retailers and restaurants featuring local artists. WHY: Our dear friend Laurie Voggenthaler came to us with an idea of how she could clear out leftovers in her stash AND make a difference. 100% of your donation goes to the Wheeler Mission Center for Women and Children. What a lovely way to touch lives as we head toward the holiday season. And how wonderful that we can hand them not only a generous stack of pillowcases but also cash to support existing programs. This is gonna be good. Get down here and gather-up some stash (or get to digging through your own)! And get to sewing. We’re excited to see what you will create. Is that Liberty of London Lifestyle cotton in that kit?! Why yes it is. We’re not holding back the good stuff in the kits we’ve created!! Hello Friend. Hello Double Gauze. What an awesome idea – I will make some for the cause!! I’m in! I was just sorting out stuff for pillowcases today… Love it! This is a great idea!! I love making pillowcases. 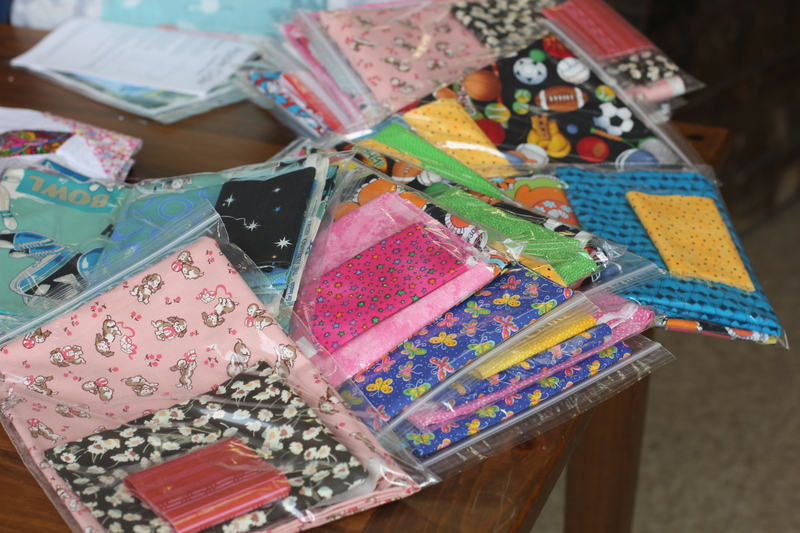 I will look through my fabrics but many of my pillowcase fabrics and for kids. I make many pillowcases for the Lutheran Child and Family Services.